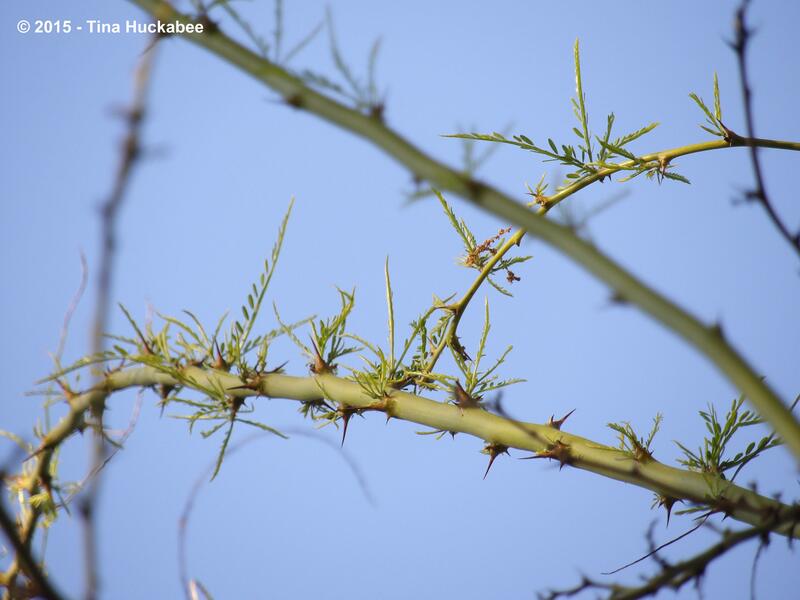 It’s time once again to follow up on my tree, the Retama, Parkinsonia aculeata, and to participate with Lucy and her Tree Following meme at Loose and Leafy. This past month started chilly and slowly with little tree action by the Retama. ….the Retama stood in this past month as a silent sentinel, awaiting its particular breath of spring. 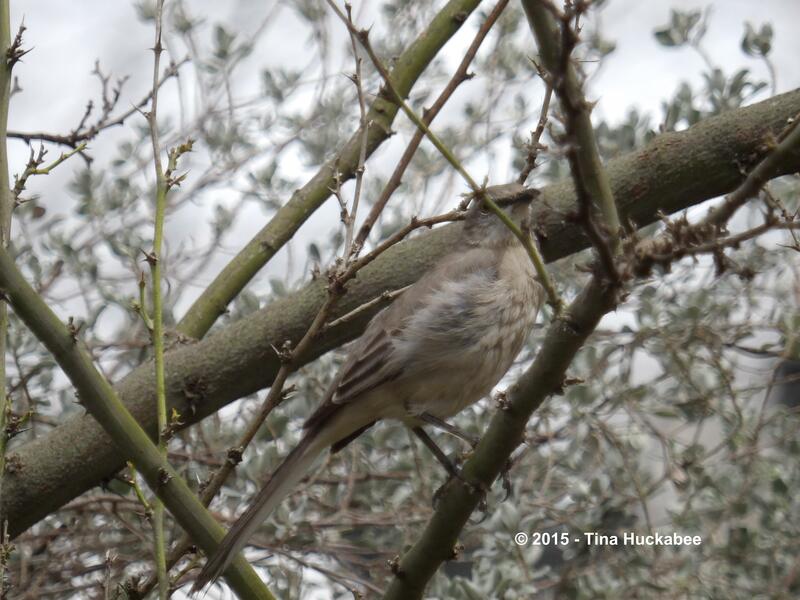 …this Northern Mockingbird, Mimus polyglottos, surveyed his realm and sung for me on a grey, cold day, early in March. …a transformative change for the Retama. It’s leafy greens all around! 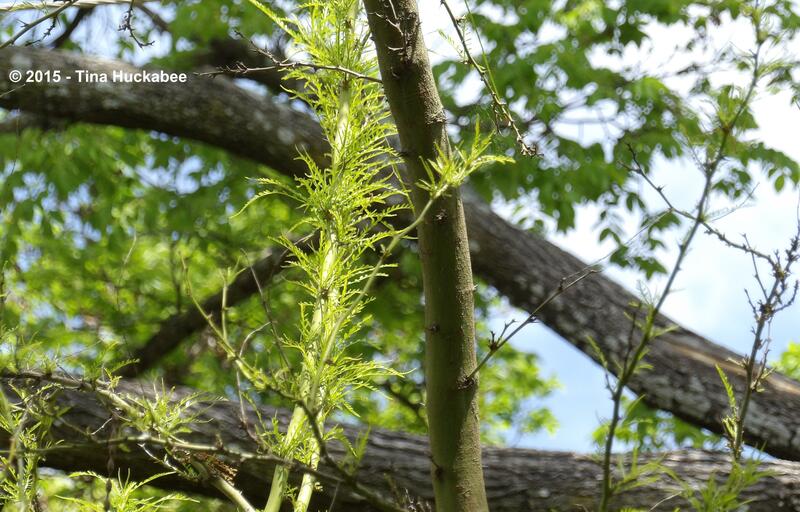 Welcome to spring, a new growing season for Retama, and a hearty huzzah for newby foliage! Love the green photos but those misty shots are really special. My son and I were just talking about film — how in Kurosawa’s films one can always see weather but so often in Hollywood films everything seems flat with endless sunny California skies or artifically lit interiors. Weather is proof that nature is still alive and I think you caught some of that drama here. I like those photos too and there’s been no shortage of grey days this spring. The Retama is quite hard to photograph, actually. I just never seem to be out during the time that the light is appropriate and there are those darned electric wires which I try not to get in the photos, but without much success. I love Kurosawa’s films, so, so beautiful. 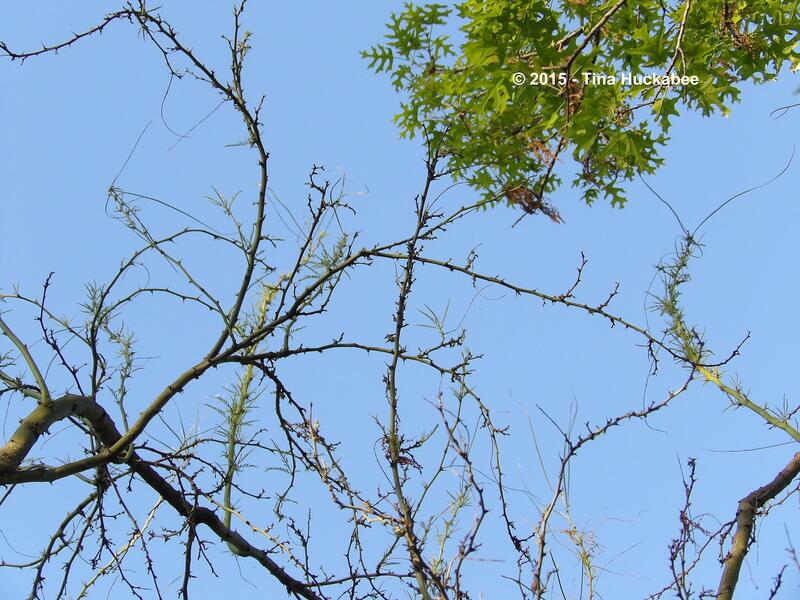 I’ll second Debra – I love those moody shots with the mockingbird. Especially that 3rd one. 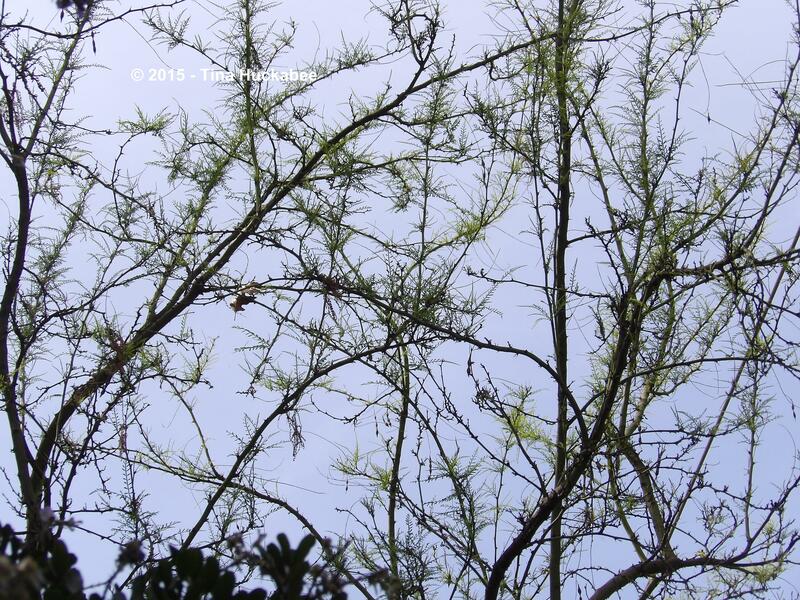 I’d seen trees around town that I thought were retama but they are popping yellow-orange blooms now and I realized – they are mostly acacias that I’d mis-identified (you can be shocked later) partly because I was whisking by in my car. So here’s my vote for really paying attention to a single tree. There are always new things to be learned! Aren’t those acacia stunning? They glow gold! I think both trees have a similar form, so I would think it’s an easy mistake to make. The Retama is not yet in bloom, but soon! Love those close-up details and the Mockingbird. Nice photo of the White-winged Dove, too. Thanks, Lea. 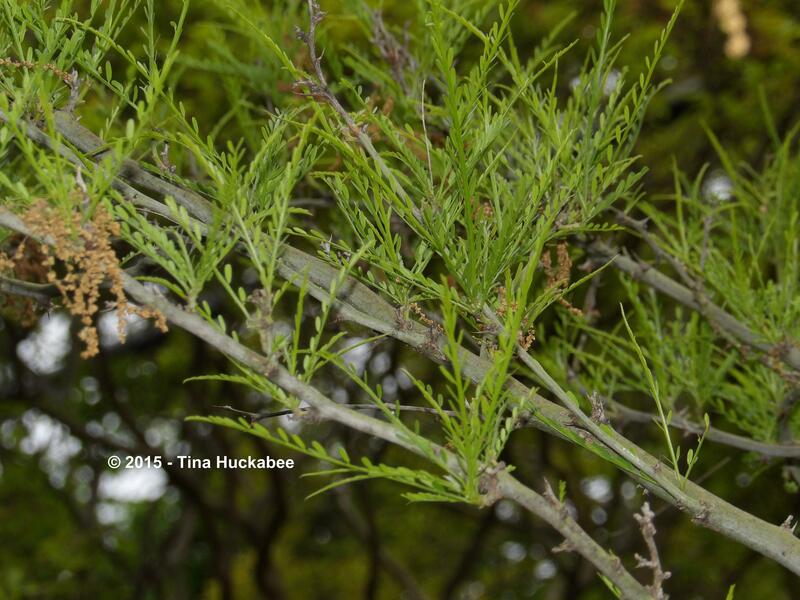 I love the foliage of the Retama, especially when it’s new, so it’s a delight to photograph. You have a great day too. I find little green leaves sprouting out so exciting! That is the best part of spring for me, new green leaves emerging. I might like it more than all the lovely flowers. The comments about showing the weather got me to take a second look. Thanks Deborah. 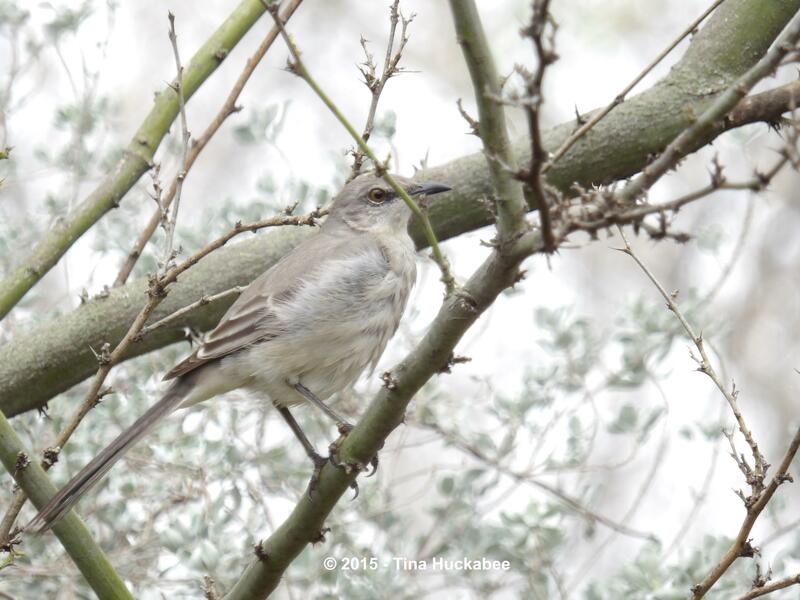 Your pictures of your Retama and the Mocking bird make a wonderful story! Happy spring! Happy spring to you, Laurin. The unfurling of leaves–yes, I’d agree it’s as exciting to gardeners as the opening of blooms. Oh, I miss the mockingbirds! For the most part, I’m thrilled to be back home in Wisconsin to get the full effect of springtime. But we don’t have mockingbirds here. Supposedly their range stretches to the Canadian border–covering the entire U.S.–but I don’t recall ever seeing one here. They were so prevalent in Florida and sang beautiful songs to us in the morning while I was visiting my parents. What a wonderful tree to select. And your images are superb! 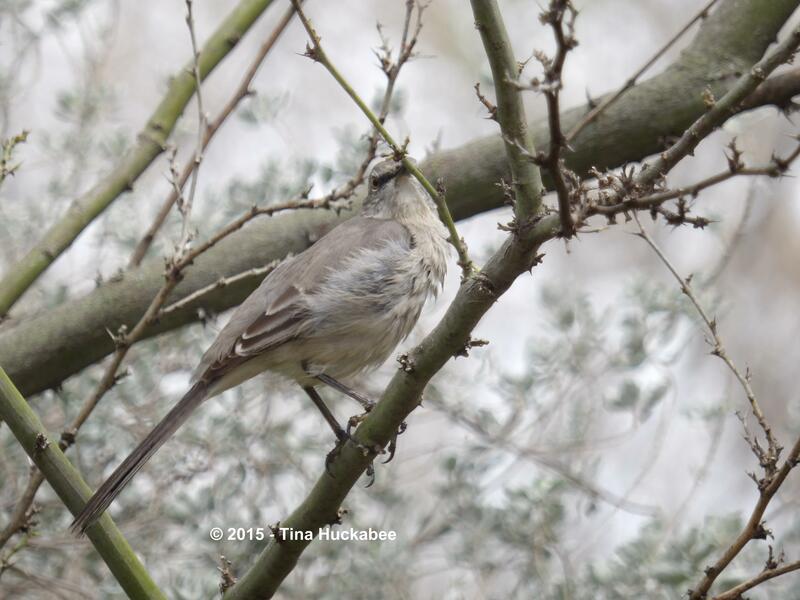 I love mockingbirds–I’m currently waking up each morning to their song(s). They’re quite friendly birds, often one will sort of keep me company when I’m out and about in the garden, which I find charming and interesting. What do they think of me? Regardless, I feel fortunate to have them around, except for that one who chased off the Cedar Waxwings from the Possumhaw recently. Grrrrrr. The young leaves are beautiful! – elegant with such regular arrangement of leaflets. New leaves of all sorts are beautiful and I agree that the Retama’s is especially so. What tremendously lovely leaves! Yours is such an interesting tree. 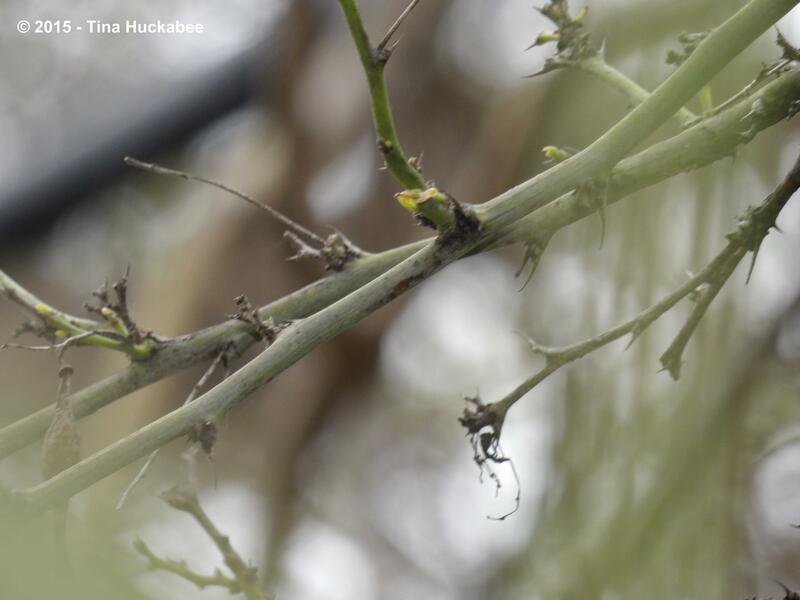 I enjoyed the photos of the Mockingbirds. They’ve been scarce around here as far as making an actual appearance, but I hear them very early every morning and late each evening, so I know they’re around. I guess they’re trying to remain invisible — quite the opposite of their normal nature! They’re probably building their nests and trying to keep them secret. The final picture of your leaves is quite beautiful. Thanks for sharing. They are pretty leaves, in color and form and it’s nice to see them again. I have very melodious Mockingbirds, I guess, as the ones around here are always singing, sometimes chirping, occasionally, squawking. I think you’re right though, they’re definitely in nesting mode. 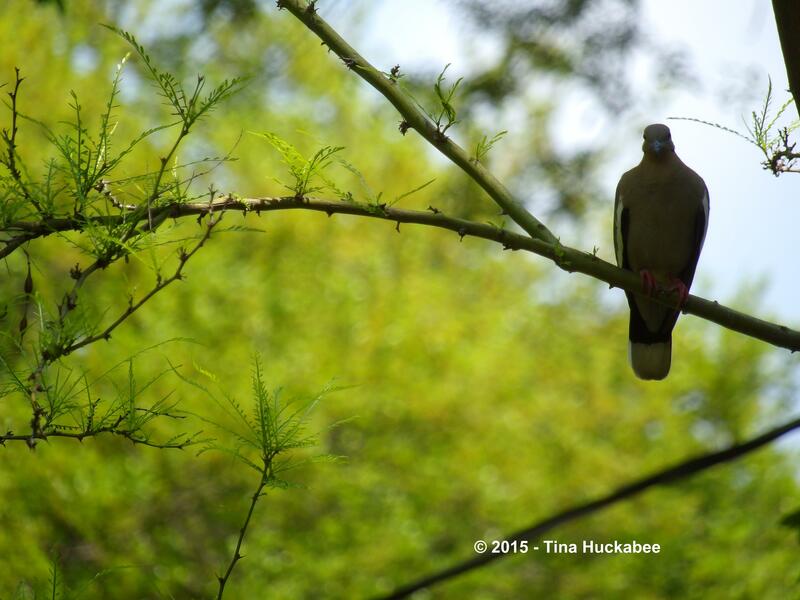 Tina I love how your tree leafs out….so different from other trees and almost looking like an evergreen. Well, I guess it is evergreen with that bark, isn’t it? It is nice to welcome the leaves back though, I think they’re so pretty. It was late. Or, at least I think it was late. Truth is, I don’t know when it normally leafs out–that’s the great thing about Tree Following, the gardener learns all sorts of new stuff!